KEXP is revamping its Friday and Sunday night lineup to focus more on dance, R&B, hip-hop and rock. The station is saying goodbye to long-running rockabilly program, "Shake the Shack," and looking for a new DJ to host its new "Soul Sounds on Sunday." KEXP is shaking up its weekend lineup, retiring its long-running program “Shake The Shack,” which primarily plays rockabilly, and replacing it with a new show in the 6-9 p.m. Friday time slot that will focus more on electronic, soul, R&B, hip-hop and rock. “Shake the Shack” is hosted by Mike Fuller, who is stepping down, according to KEXP. Fuller took over “Shake the Shack” from DJ Leon Berman, who in 2016 retired after 30 years at KEXP. The station will fill Sunday’s 6-9 p.m. slot with a second new program, “Soul Sounds on Sunday,” which will play classic soul, funk, R&B and hip-hop. 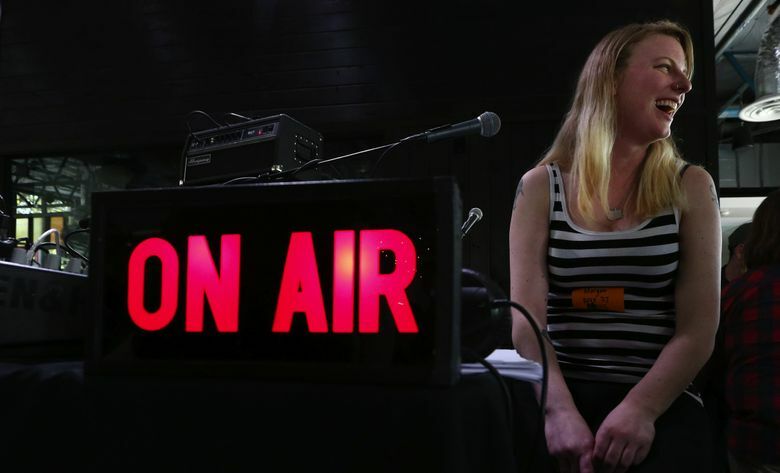 The show will be staffed by current KEXP DJs while the station looks for a permanent host. The station promises to have a job posting on its website soon.